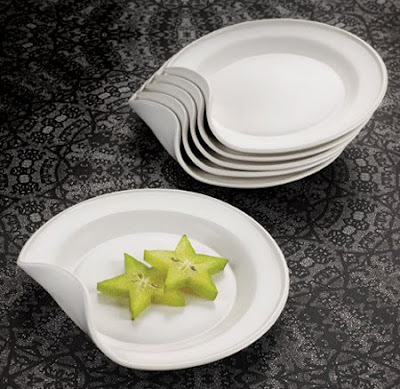 Beautiful disposable paper dishes have curved corners that naturally follow the shape of fingers or thumbs for easy gripping, deliberately designed so that people can hold their plates while they mingle. 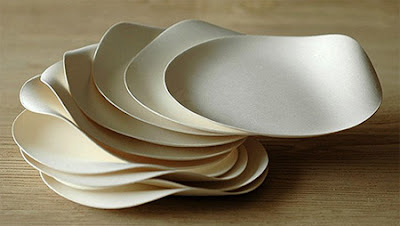 Handful Of Plates are creative ceramic plates that are folded like a taco shell. 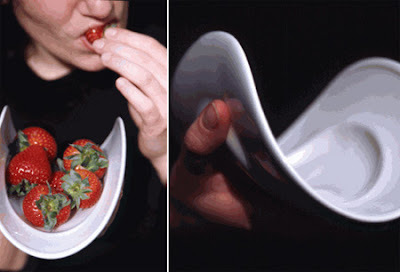 The way they are curved allows you to keep the plate in one hand while eating the food with the other one. 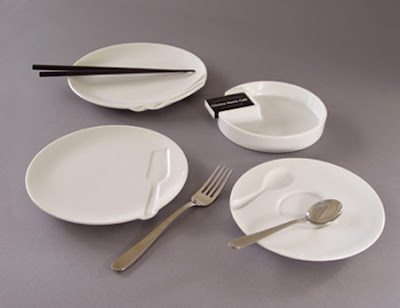 Grooveware is a creative series of three porcelain dishes and an ashtray. The basic forms are generic, except for the fact that each is paired with, and indented by an appropriate utensil. 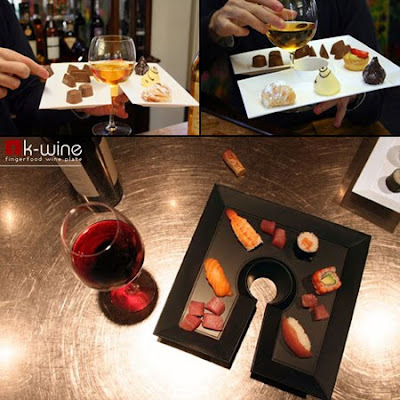 The difference between K-wine and a traditional plate with glass holder is that K-wine moves the weight from the side to the middle of the plate. Therefore, even if the glass is full, the weight of the plate is balanced. 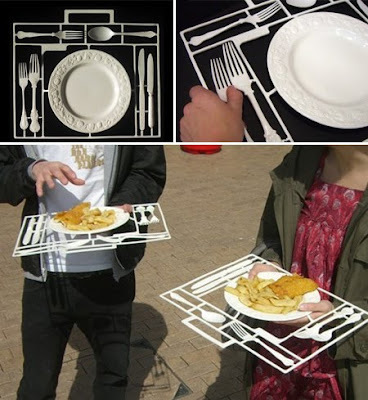 Portable lunch setting by talented product designer Demelza Hill. 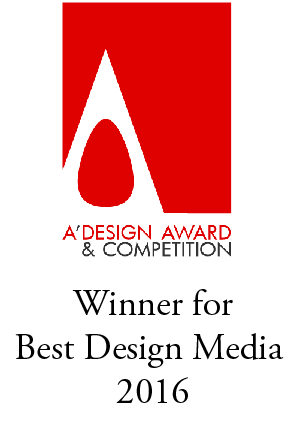 Designed by Angela Schwab. The unexpected upward bend functions as a one-handed grip that also prevents spillage.